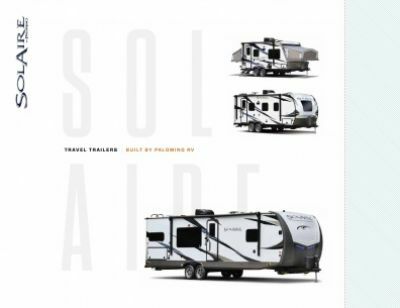 Travel anywhere in stylish comfort with the 2019 Palomino SolAire eXpandables 185X Hybrid Trailer! National RV Detroit is a top, full service RV dealership in Belleville, Michigan. Our dedication to providing top-notch sales and service to our customers has made us a success in this state and beyond, ever since we opened our doors in 2008. We offer all the top brand RVs at wholesale prices with great financing that can fit any budget! So stop in today and let us put you in the RV of your dreams! We're conveniently located at 44700 N I 94 Service Dr Belleville Michigan 48111 and we're ready to make your RV dream come true! Even if you don't live near Belleville or the Detroit area, we can still help you thanks to our personalized phone and internet service, and our 24/7 delivery service that covers all of North America! When you want to hit the road, the 2019 Palomino SolAire eXpandables 185X is ready to go! It's 25' 11" long, 8' 0" wide, and has a hitch weight of 444 lbs. The flush mount slides make for improved towing economy, as does the flush mount 15' 0" patio awning! And with its sturdy GVWR rating of 5630 lbs, this rig will give you years of camping fun!